V-Neck tunic/top in marsala red and anthracite with long sleeves and vents at the sides. V-Neck tunic/top in marsala red and anthracite with long sleeves and vents at the sides. 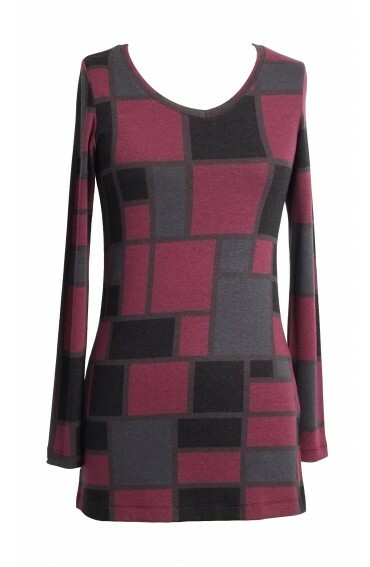 It can be worn on it's own with slim fit trousers/pencil skirts or wear it with the matching cardigan for a smarter look.